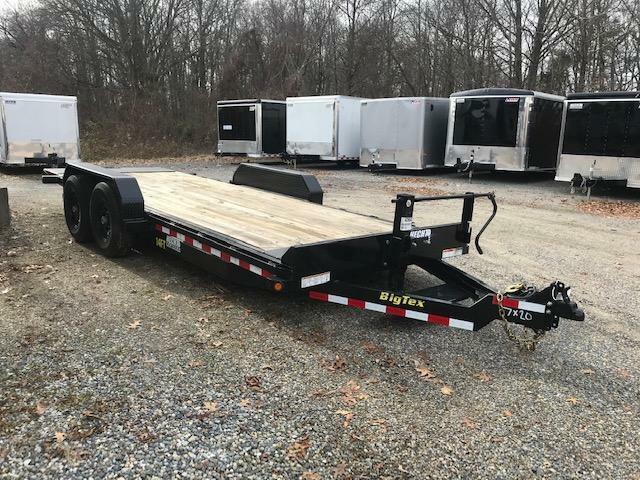 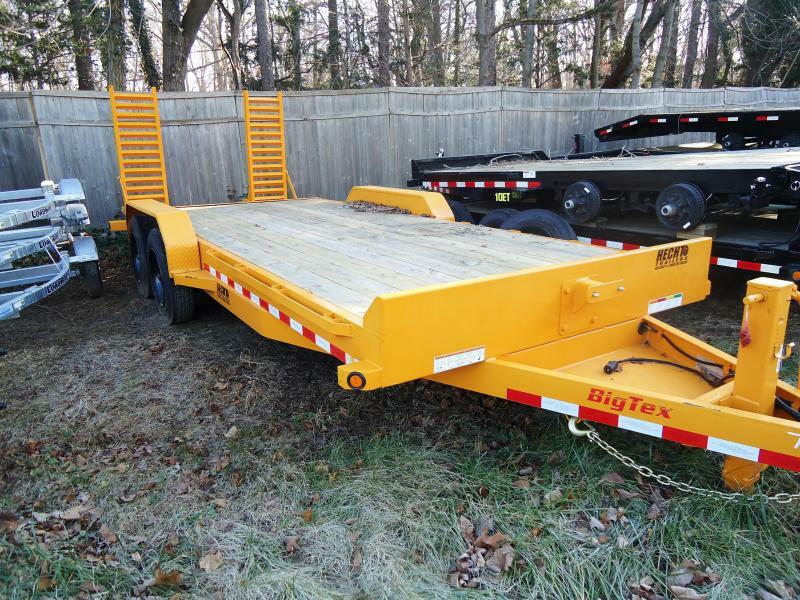 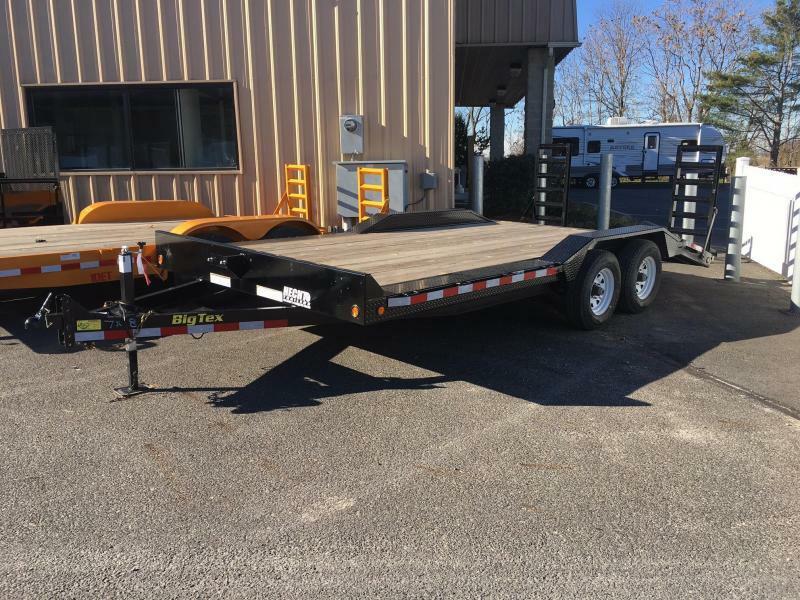 This new trailer model features a full width deck in front and behind the fenders, as well as heavy duty 3/16" diamond plate steel drive over fenders. 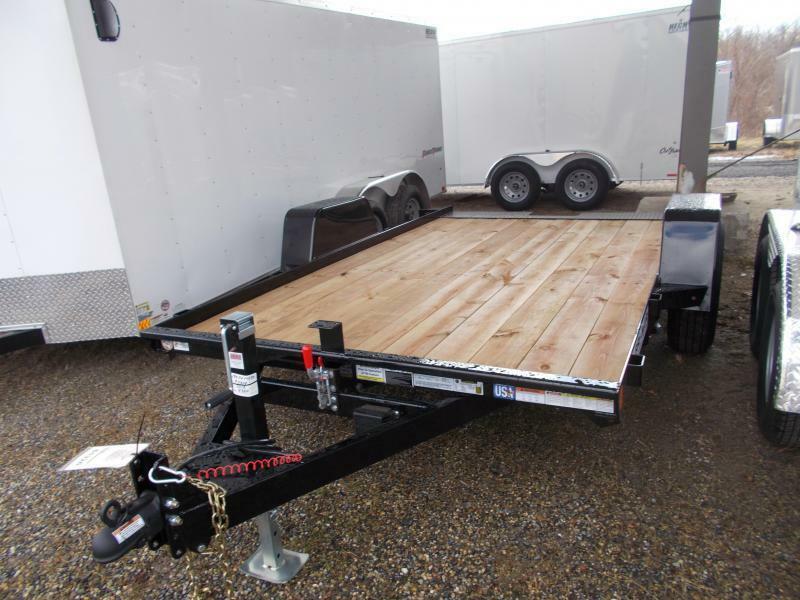 With an internal 6" structural channel iron frame, the 14 DF is durable and strong for all your hauls. 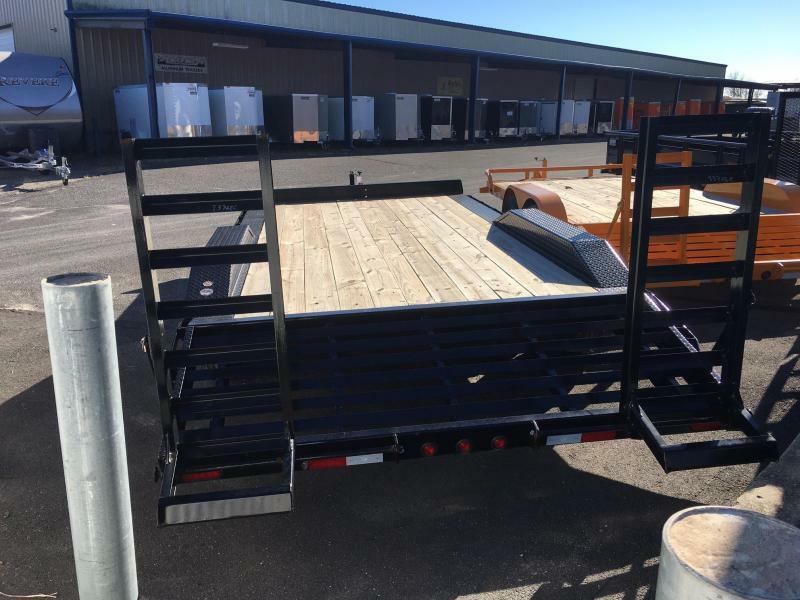 The outer frame, which provides the extended width of this model, is a formed 3/16" diamond plate that gives the 14DF a tough aesthetic and resilient appearance. 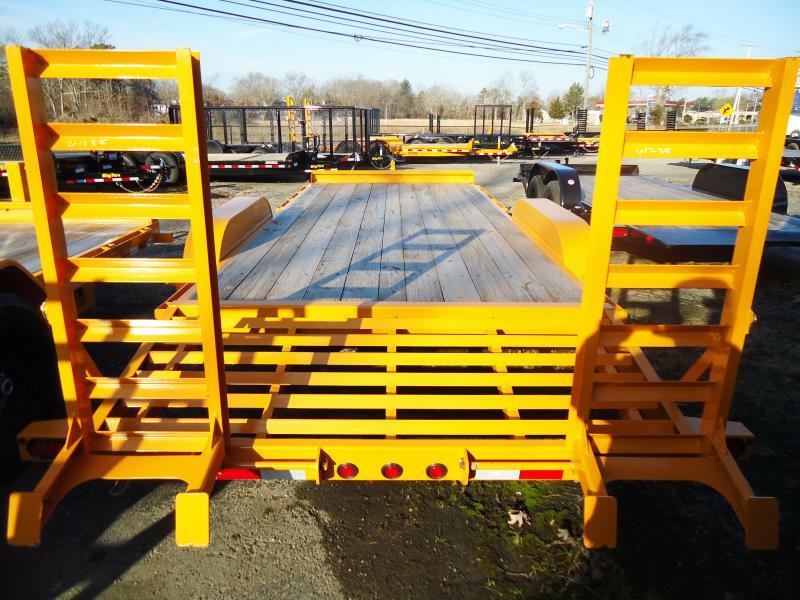 At the front of this strong trailer is a formed bump rail which is also utilized to bolt on the 12,000lb. 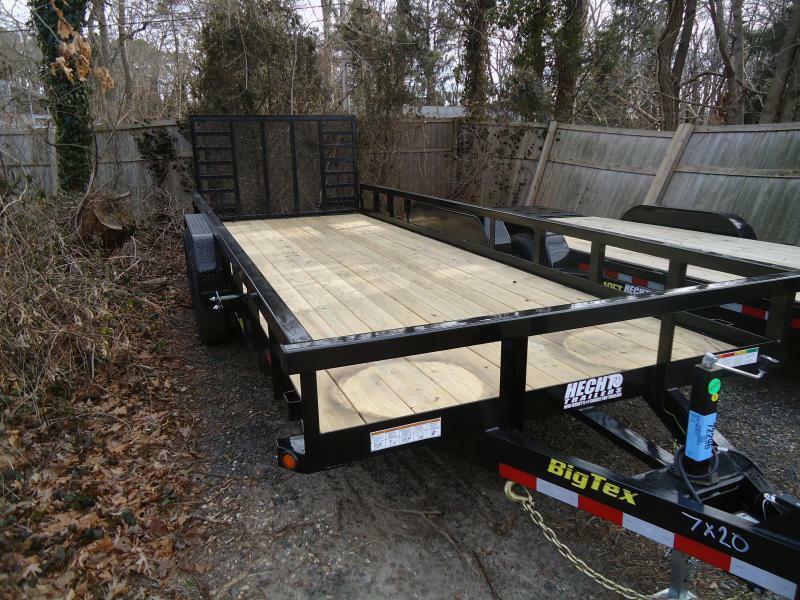 side wind drop leg jack, and two 7,000lb. 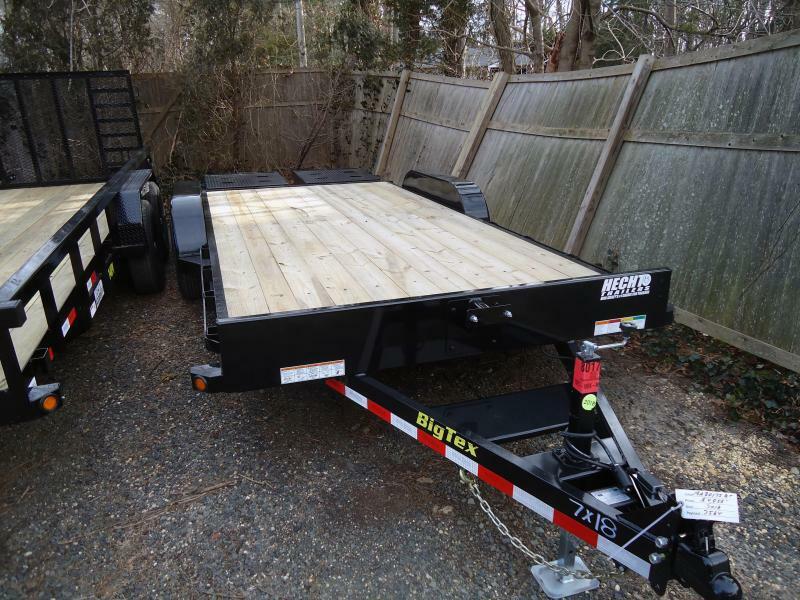 Dexter Axles, which gives plenty of cargo capacity. 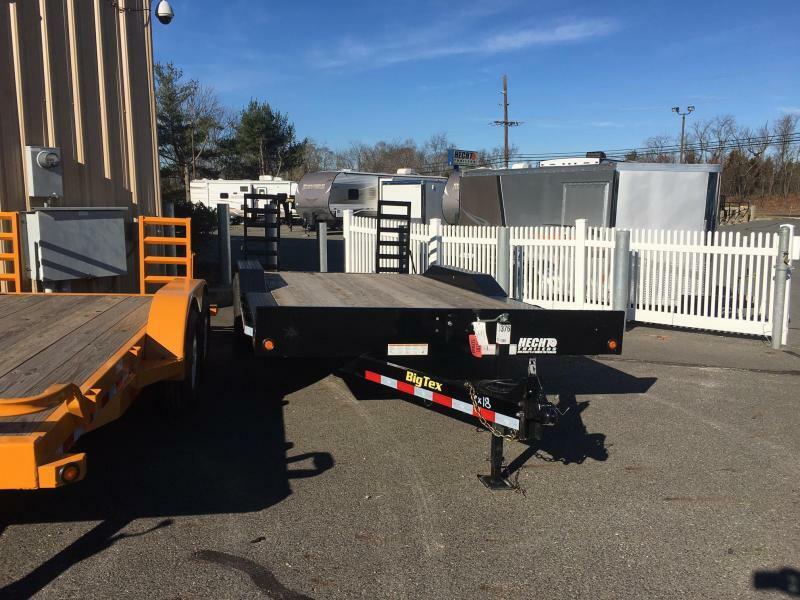 Both axles are equipped with EZ lube Hubs and Nev-R-Adjust electric brakes. 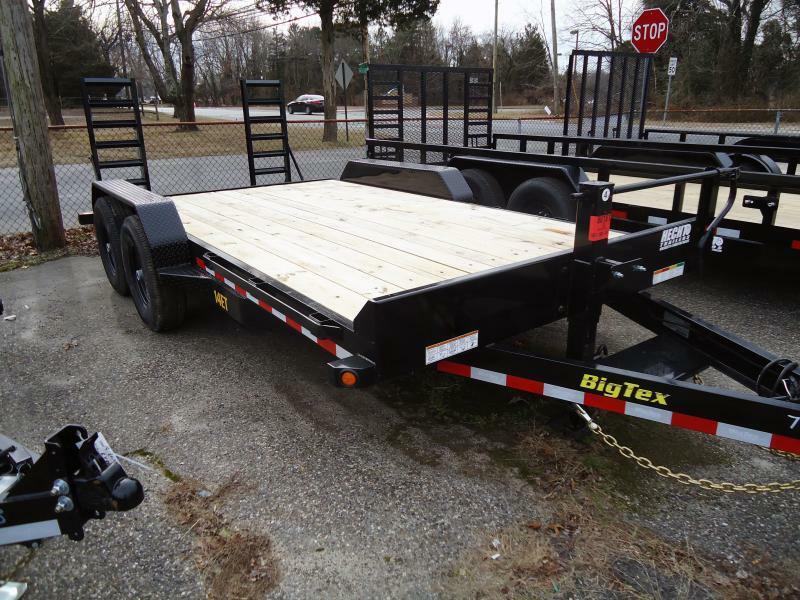 Also equipped with a 36" cleated, self-cleaning dovetail and 4' tall channel ramps featured at the rear, Big Tex's 14DF gives users a smoother load angle and provides an easier loading process. 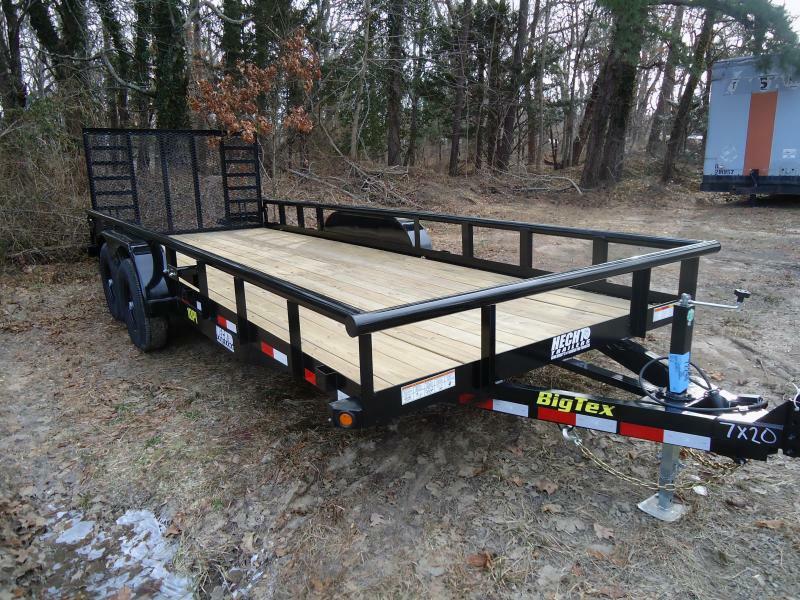 Displaying durability and exceptional value, Big Tex's 14DF is a Pro Series Equipment Trailer with top-quality features.